“In my cast sculptures I enlist collective imagery, rendered in a direct simple style encased within solid glass, to tell stories. These stories are drawn from memories or impressions, sometimes my own, other times other artists’ biographical information”. 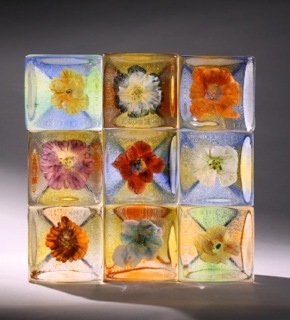 “For me, the process of working in glass in itself requires the spirit of collaboration with others and a dialog with the material itself, which, by its fluid nature, can become a catalyst for expression. 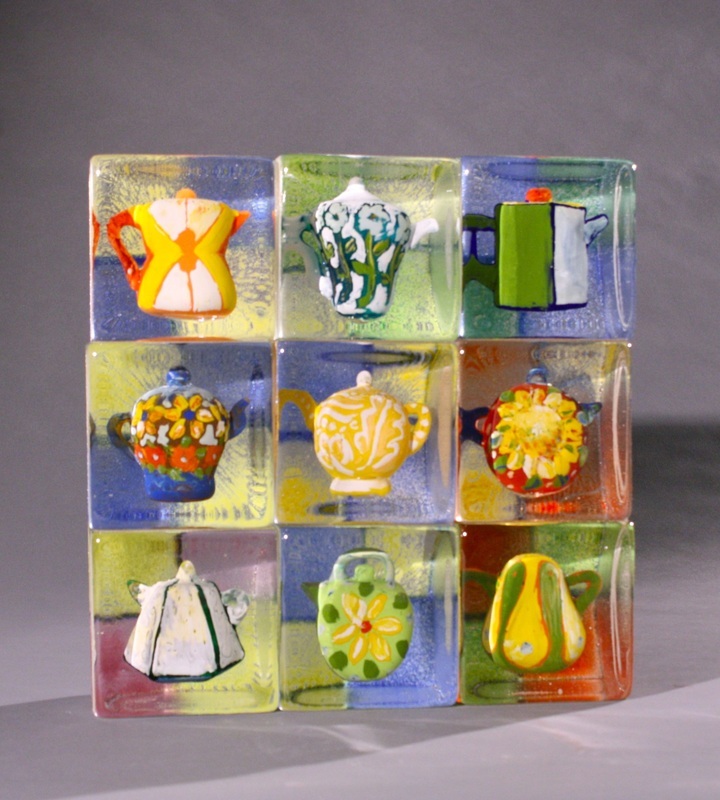 I share a hot glass studio with my husband where I have worked for the past 12 years. As I work as an artist in glass I am able to expand my creative expression within the body of work through investigation and invention”. 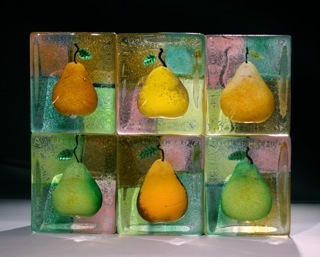 “I sculpt and paint objects in glass that tell illusory narratives. 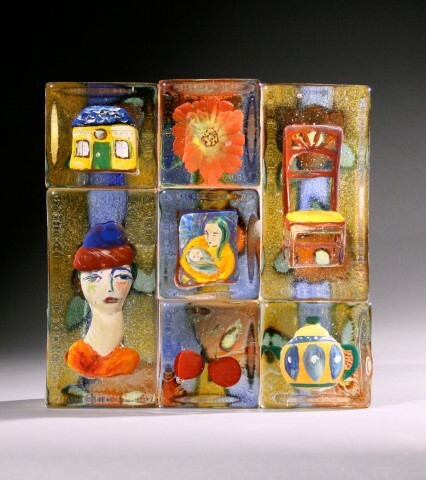 The sculpted pieces are encased in sand cast glass forms. The cast pieces are assembled in different sections, often stacked or nestled together and, on occasion, can be reconfigured. A successful work is technically sound as well as lyrical in the combining of images. Also, the combination of images must express ideas of the story of the piece. The best pieces have multiple ways of reading the story”. “I create my own visual vocabulary in storytelling. Using these totems I tell stories about the artistic experience and the ensuing personal relationships usually based on true stories of artists from history. The subject of these narratives is usually revealed in the title of the piece, but it is not necessary that the viewer be familiar with the subject in order to understand the concept because the metaphors are universal to the human condition”.